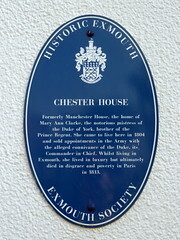 Chester House. 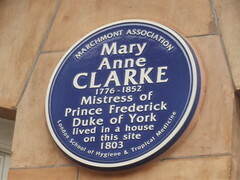 Formerly Manchester House, the home of Mary Ann Clarke, the notorious mistress of the Duke of York, brother of the Prince Regent. 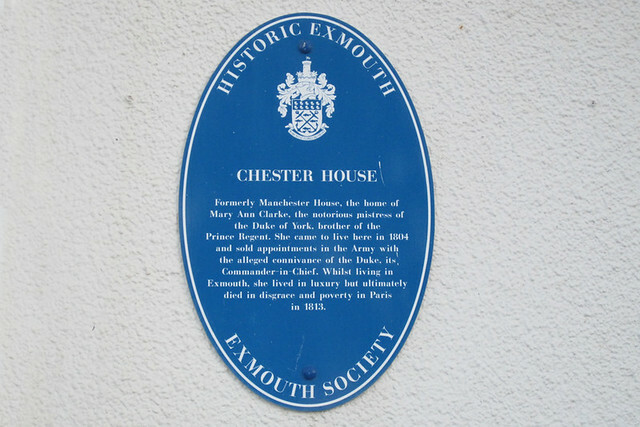 She came to live here in 1804 and sold appointments in the Army with the alleged connivance of the Duke, its Commander-in-Chief. 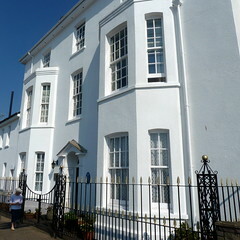 Whilst living in Exmouth, she lived in luxury but ultimately died in disgrace and poverty in Paris in 1813.